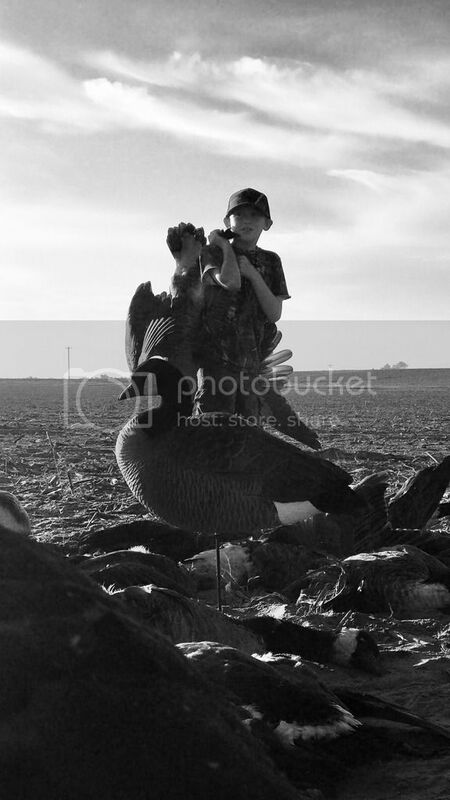 My son Avery got his first geese this morning. Good hunt to get him started on! Congrats! Yeah man thanks. He did great in the layout blind by himself. Man that's killer! Way to go Avery!